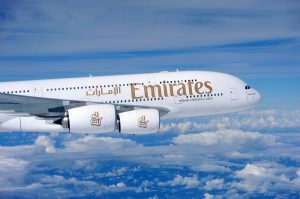 Emirates Airline has announced plans to introduce a 2nd daily flight between Dubai and Houston on 1st November. The expansion will also come in the form of another daily flight between Dubai and Los Angeles, to begin on 31st October. This gives the Dubai-based airline 2 flights daily to Houston, both on Boeing 777 aircraft. Emirates has experienced very strong demand across all of its U.S. gateways this year, including very healthy premium and business traffic. To meet this increased demand, Emirate’s now offers a second daily service to both Houston and Los Angeles. Emirates began its first nonstop service to Houston in December 2007. In addition to Houston and Los Angeles, Emirates currently flies nonstop to New York and San Francisco.